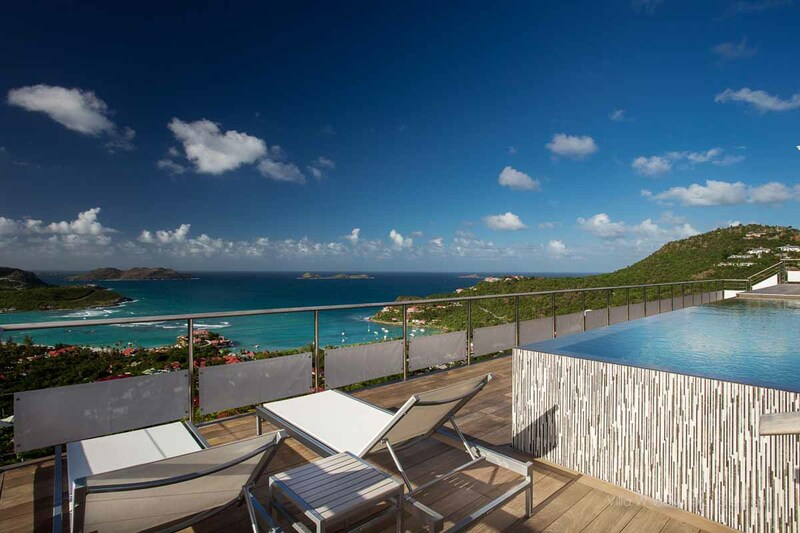 Eden Rock Villa Rental offers a range of new luxurious services provided to the portfolio of more than 80 of St. Barths most exclusive villas, all directly linked to the legendary services of the five star hotel Eden Rock – St Barths. Renowned for delivering an experience beyond perfection, Eden Rock Villa Rental has recently upgraded its villa features in order to match the growing demand for luxury. 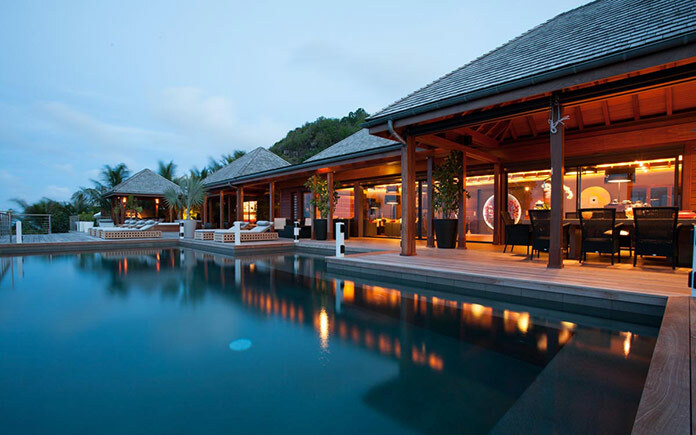 Eden Rock Villa Rental offers a new range of services delivered by the team at hotel Eden Rock – St Barths, in order to provide the privacy of a private villa holiday but with the many pleasures of five star hotel services, from concierge to beach butlers. On arrival guests are presented with a complimentary mobile giving them 24 hour service to their dedicated concierge. Guests have many inclusive services such as fresh breakfast delivered daily, welcome amenities, the most glamorous stretch of sands at St Jean beach, serviced by the attentive Eden Rock hotel’s beach butlers as well as priority reservations at the hotel’s restaurants, famously created with exotic inspiration by acclaimed Chef Jean-Georges Vongerichten and Executive Chef Eric Desbordes. A range of a la carte service is also available to guests, comprising of private parties and private yachts, including Catering and service by Eden Rock; as well as room services from the Eden Rock, beach picnic menu or in-villa spa treatments with bespoke therapies to relax and elevate guest’s mood. Eden Rock Villa Rental offers three villa categories: Deluxe Villas, Prestige Villas and Ultraluxe Villas, private homes with all the exclusive amenities of a five star hotel. Each villa category offers a different level of luxury in terms of accommodations and types of service provided. Deluxe Villas – offer an expense account card for private services throughout the hotel, including access to the fitness center, stunning hotel beach and VIP travel assistance with airport transportation as well as in villa amenities such as Bulgari bathroom products and continental breakfast delivery every morning. Prestige Villas – Enjoy the same amenities above as well as complimentary service a pickup and delivery of any items purchased on the island. 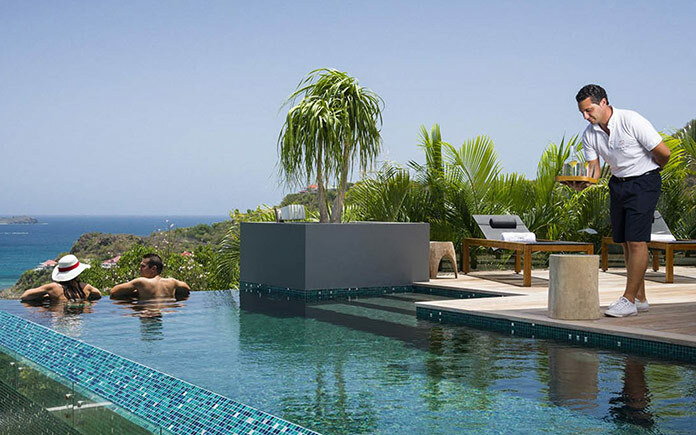 Ultraluxe Villas – Receive the above amenities and a dedicated chef and butler 24 hours a day. The 17 hand- picked villas are the most luxurious on the island, including direct beach access, private pool and spectacular Caribbean views. Classified as UltraLuxe, Villa Jade 5 offers a spacious and zen oasis for travelers to escape to. The expansive villa sleeps 14, with eight bedrooms. Four of these rooms are in their own independent cottages and two share an ensuite bathroom, perfect for children wishing to be close together. Guests are provided with their own infinity pool, stretching the width of the villa, and seemingly spilling over the hills into Marigot Bay. Also available to guests are a large Jacuzzi, a private fitness center, home cinema, personal butler and chef and access to the island’s private beach at St Jean. Classified as UltraLuxe, the brand new Villa Joy boasts a modern design, while at the same time remains in complete harmony with the fresh island surroundings. The villa sleeps 12, with six bedrooms, four master bedrooms and two smaller ones. Each master bedroom has a private bathroom with a tropical outdoor shower. Set over two floors, every angle provides a front row view across the beautiful Marigot Bay. 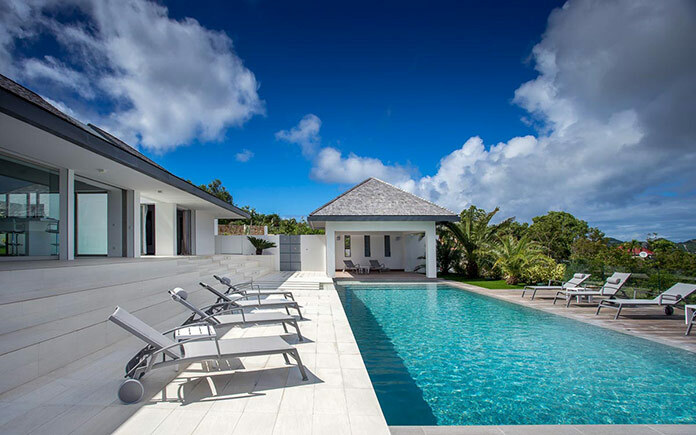 Also available to guests are a private fitness center, home cinema, personal butler and chef and access to the island’s private beach at St Jean. The stunning beauty of Villa My Way makes a complete chic contrast to the surrounding natural environment. Classified as UltraLuxe, everything from the living areas, private gym, and five bedrooms boasts fabulous views over the sea; one bedroom also has a tropical back garden. This villa is designed for playful leisure inviting you to slip from the infinity pool to ebony grand piano, while Flamands Beach is only a 3 minute drive. 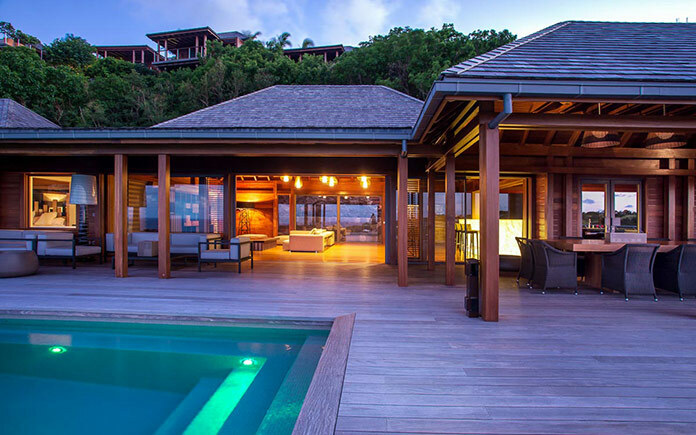 Also available to guests are a personal butler and chef and access to the island’s private beach at St Jean. White weatherboard blends with pristine chic in this spacious villa created with relaxation and privacy for travelling parties in mind. Classified as Prestige, W View comfortably sleeps eight, with four bedrooms. One master bedroom is in a separate bungalow, another is secluded on a lower terrace, while a further bungalow is home to the other two bedrooms. An indoor and outdoor lounge, a home cinema, fitness room and multi-level pool deck gives many options to find a secluded spot. Classified as Prestige, Wine Note offers luxurious seclusion with three access levels in all five bedrooms. 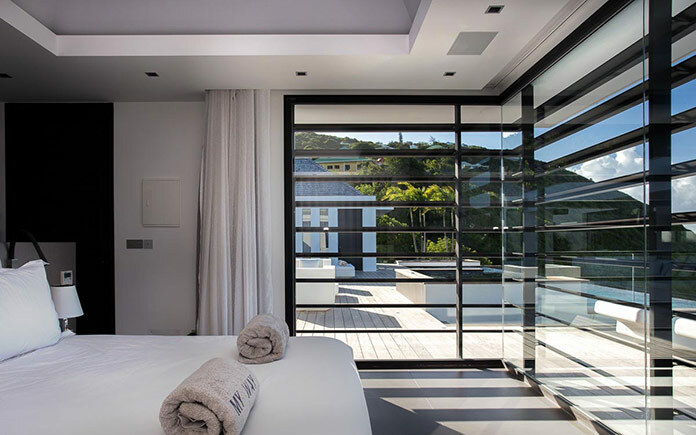 The master bedroom is located at a separate pavilion, boasting spectacular ocean views. Outside, a stylishly landscaped space with two cascade pools allows for glamorous evenings. The glass feature wine cellar is a center piece of the living dining room, and gourmet kitchen. The living space is designed to open entirely inviting you to immerse yourself in the fresh island air and blue views over St Jean’s bay.